Unleashing the full potential of the Good Friday Agreement could address some of the main risks posed by Brexit to the environment of the island of Ireland, a new report has found. 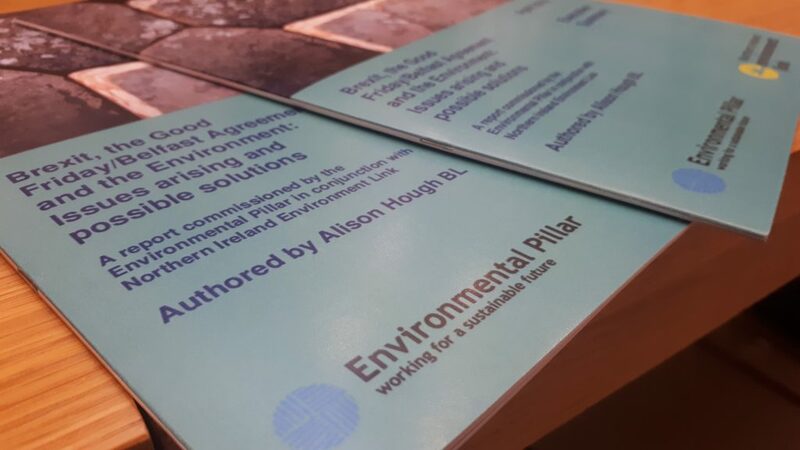 Launched at an event at Leinster House today, the report – commissioned by the Environmental Pillar and Northern Ireland Environment Link – examines the cross-border environmental co-operation supported by the 1998 Agreement (GFA). The report stresses that firming up the structures and institutions set-up under the Agreement could minimise some of the negative impacts arising from the removal of the existing common EU regulatory standards. The North South Ministerial Council, for example, has an explicit environmental remit to facilitate co-operation and coordination in EU matters. Brexit poses a major environmental threat to the island of Ireland without a common set of standards for tackling issues such as invasive species, emissions standards, water quality, and hazardous waste, the report states. The report outlines several key threats posed by Brexit, namely regulatory divergence that could lead to governance gaps and deterioration in environmental standards coming from Brussels. There are currently over 650 pieces of EU legislation in force to protect the environment, habitats, air quality, waste, food safety and a myriad of other areas. These laws and regulations are the principal drivers for the vast majority of environmental protection in place in both the Republic of Ireland and Northern Ireland, the report finds. The report points to the potential weakening of legislative protection in the North as perhaps the single greatest environmental risk posed by Brexit, especially in light of a long history of failure to meet basic standards of environmental protection in Northern Ireland. The reasons for this include Northern Ireland’s status as a post-conflict society, the many failures in executive formation, and the lack of an independent environmental regulator, the report states. The potential loss of significant stream of cross-border funding and the physical blockage of cross-border co-operation posed by a hard border scenario are also outlined as key threats in the report. A hard border or a customs border could cause “innumerable problems from movement of staff on projects and goods necessary for the carrying out of projects”, the report states. The report finds that many of these obstacles could be tackled through better use of the institutions established under the GFA as a vehicle to maintain regulatory alignment on the island. The report also outlines several other recommendations that would help to preserve cross-border environmental co-operation in a post-Brexit world, including the setting up of an independent regulator for environmental compliance in Northern Ireland. The establishment of a broader all-island mechanism to monitor and facilitate cross-border co-operation, as well as prioritising the continuation of cross-border funding stream are also recommended by the report. 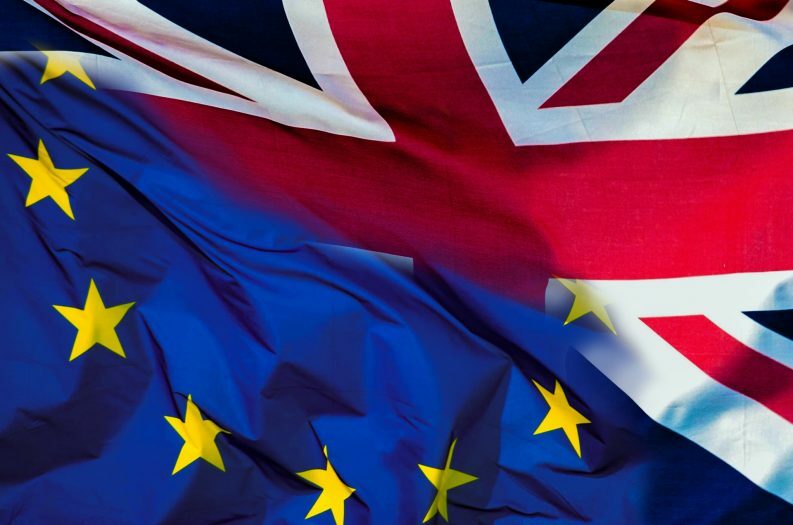 The report states that finding a positive solution is largely dependent on the relationship formed between the EU and the UK, which could include high levels of regulatory alignment across most, if not all, areas of environmental policy. The author of the report Alison Hough BL said that it is vital that the “reality” of the island of Ireland’s shared environmental context is “not ignored during the Brexit debate”. “The natural world does not recognise borders, and flora and fauna will not conveniently confine their habitats to man-made political boundaries,” she said.